Witches. Goblins. Headless horsemen. Been there, done that. This October, up the freaky factor and dare to dive into the creepy side of our blue planet. 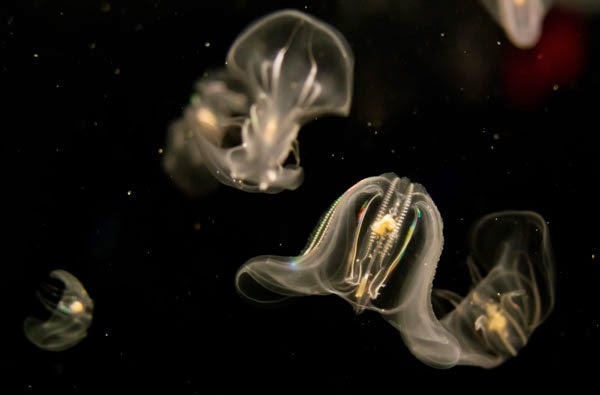 Plug into the Aquarium’s Facebook and Twitter feeds as we count down to Halloween with some of the eerie and ethereal ocean animals you’ll find at the Aquarium. From venomous fish to ghostly invertebrates, we’ll help you get in the mood of this spooky time of year. Plug in to the Aquarium's Facebook and Twitter and we'll help you get in the Halloween spirit! So make sure you like the Aquarium’s Facebook page and start following us on Twitter so you don’t miss a thing!